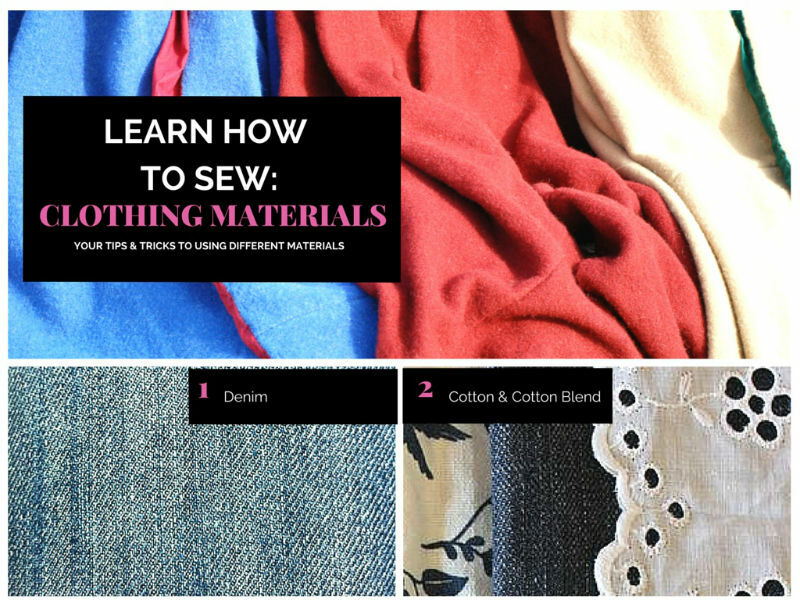 When dealing with so many different projects, it is important to know about the materials you have available to sew your clothes. Some materials are ideal for certain types of projects, and will make your project so much easier to complete. Using the right type of material can make or break the finished product. Your sewing machine also offers different types of stitches for these materials, so it is important to know which to use. So if you are ready to begin, here are the most common types of materials used. Use a heavier or brand new needle when working with denim, because the fabric is strong and can easily break an older or dull needle. Using a stitching length of no more than 5 mm will keep your fabric from stretching and fraying along seams. 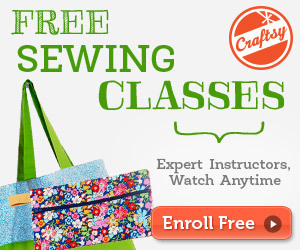 Of course, I’m assuming that you got a great sewing machine for heavy fabrics. It is much easier to cut through one layer at a time, although it is more time consuming. But to ensure that you get a clean line and less bending of scissors, take the extra time for at least the first few denim projects until you get used to the pressure required or get heavy duty scissors for the job. Always iron your seams flat before you begin, and then after you have completed the stitching in order to keep them from losing color later on. Keep your bulk down by always trimming your edges and corners as you go, since denim is bulky all on its’ own in one layer. Hold your material and don’t push or pull it through your machine, and if your sewing machine has a hard time getting through it, use the hand wheel. It’s better to go slower and allow the machine to pull it through on its’ own if possible. Using a walking foot instead of a standard presser foot will help to keep the denim from moving around too much while you are sewing. Some brands of machines will take a jeans presser foot, and if yours will, it is highly suggested. This will keep your machine from working too hard. Fraying is a major issue on cut edges, so using the zigzag stitch on all inner seams will help keep this from happening. Straight stitches are ideal for legs, with a stitch length of no more than 3 mm. This is the most common material used for all projects. The most versatile of fabrics are the blends, as they are available in hundreds of different types and percales. Cottons are very light weight and easy to care for. You should really wash all of your cotton materials at least two times before working with it, as it tends to shrink and will fit differently after being washed. Therefore washing beforehand will allow you to get a true fit as a finished project. Edges commonly fray, so before beginning simply snip them away. Iron all pieces out before you cut, to avoid getting the wrong measurement. While working, iron out all of your edges, seams, flaps and curves to keep a true fit. Always use a lighter 100% cotton thread when working with this fabric like a 60 weight, so as not to create problems with a thicker thread such as holes that wear along seams from the needle. The best needles are 70/10, as they are smaller and more delicate, allowing for smaller holes. You can use just about any stitch with this, which is why it is so versatile. Frayed edges can be basted with a zigzag and then you are able to use any stitch you wish for the remainder of your project. Polyester makes up 100% of all fleeces, so you can use this same information for any polyester blend you work with. There is a ‘right’ and ‘wrong’ side of fleece, and it will always curl towards the ‘wrong’ side. There is no fraying with this fabric, making it ideal for many projects like baby blankets, sleep pants and winter outer wear like hats and scarves. This also means you won’t need to make a finished edge seam. Use a new needle on your machine ANY time you work with this fabric, as it is hard on your needle and can also be easily caught by a burr. Threads needed are made for polyester, and require a small zigzag stitching for arm holes whereas a straight stitch is recommended for seams. Your stitch length should be set to 3-5 mm for the best finished product. The best seams for this fabric are the double top stitched, so as to keep your bulk down and make it easier to work with. So now that you know a little more about the stitches, needles and other requirements for your favorite fabrics you should put them to use. How about heading over and trying out one of the new projects? Put those new skills to the test. 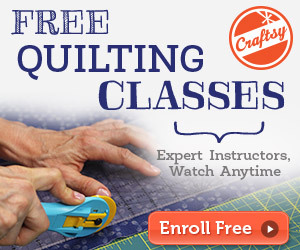 Remember there is nothing wrong with using a scrap of material to practice stitches before you start.